This Event has been read: 511 times. With my trip to Napa Valley coming up the following week we only have one event and it’s on Monday night…but it’s a really good reason to come out and drink we have one of the world’s top winemakers in town Nick Goldschmidt. After working with the big boys for most of his career, Simi, Clos Du Bois and as one of the top dogs in the corporate world of wine Nik decided to start making wine again and started his own label which includes projects on 5 different continents. Nick is one of the world’s top minds in the winemaking world and he is now making wines on 5 different continents. Today, his mantra is one vintage, one vineyard one variety, Nick fees there is too much fraud in the industry so he is trying to be as honest as he can be with what is in the bottle with his namesake on it. I was really impressed with the wines, especially when I found out the prices! These wines would be recommended at twice the price but when you exceed the expectation so much like these wines do it is a refreshing change of pace. I see a lot of wines come across my desk and there are not a lot that I get this excited about- all of these wines are on the shelf here at Wine Watch! This event is more of a tasting than a wine pairing dinner and Nick will guide us through the wines with descriptions on each specific vineyard sites and we will be serving dinner but there will not be a wine paired to each course for this event. First Nick will take us through all nine wines and then chef Toni Lampasone has made a special menu to compliment the tasting wines and we will have some extra wine to pour with the dinner. The fee for this event is $85 + tax, for reservations call 954-523-9463 or e-mail andy@winewatch.com. Fermentation: Cold fermented under 15oC to maintain fruit esters and varietal intensity. stainless steel. 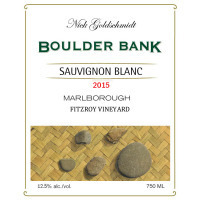 Boulder Bank Sauvignon Blanc is planted below sea level in the Fitzroy Vineyard in Marlborough. River rock and sandy loam impart a distinct minerality and finish to the wine. Cane pruning is used to reduce yields, and the vineyard is certified sustainable. Wonderfully bright and refreshing style with crisp, green apple characteristics, medium-to-high acidity and good length. Old field selection clones yield fruit with high natural acidity and citrus flavors like grapefruit and lemon. The nose shows lime, Meyer lemon, and ripe apple. 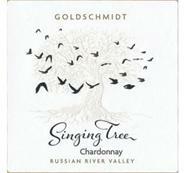 Flavors of juicy green apple, dried fig, white peach, and apricot mingle with hints of vanilla. The dash of French oak pushes the finish a little longer with hints of vanilla and caramel. The wine is full and ripe and totally over-delivers. Fresh fruit is the order of the day, but with a depth and complexity that only comes from great vineyards and meticulous winemaking. Nick integrates soft and rich tannins that add complexity without dryness. Another exceptional vintage in Alexander Valley with outstanding color and flavor development. Ripe, black fruit characters and great concentration. A warm, relatively dry spring through April and May produced very even flowering and fruit set. Rich and robust aromas of blackberry, black cherry, spice, and licorice. Secondary aromas of red tobacco and creamy vanilla. Black currant, cherry, and raspberry flavors are accented with sage and dark chocolate. Smooth, soft, and supple finish. Violet-black. Rich and intense with black currant, raspberry, and blueberry aromas. Shows blackberry, boysenberry, and red raspberry flavors. Full-bodied and smooth mid-palate with baking spices in the finish. 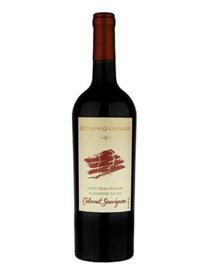 Forefathers Cabernet Sauvignon comes from a 3 acre parcel just north of Geyserville. This mountain vineyard faces east and avoids hot afternoon temperatures. East-facing slopes are a relatively rare occurrence in the Alexander Valley, as most of the valley is either heavily forested or too steep to plant. Lone Tree is cane-pruned, a technique which produces smaller berries, less dense clusters, and a more open canopy. The benefit is more even ripening. More black fruit, more depth, and more power is the signature of these much sought after east-facing sites. Goldschmidt Yoeman Vineyard Cabernet Sauvignon comes from a small mountain vineyard just south of the town of Geyserville. This terraced vineyard slopes to the southeast and is comprised of well-draining, glacial loam. Soft morning sun promotes slower grape maturation and longer “hang times” in this secluded micro-climate. Planted in 1988, it is made up of two very old field selections which allow for more diversity in the clusters. Upon achieving full ripeness, they vary in size, acidity, and flavor profile. One shows more red fruit and the other more black fruit characteristics Such plant diversity grants more complexity within the site. Yoeman is a low input vineyard with very low yields and is typically picked 2-3 weeks later than our Oakville vineyards. Rarely do vineyard conditions afford a winemaker the opportunity to make a wine such as this. 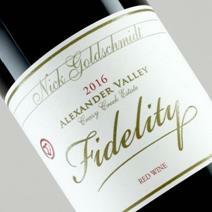 With its multi-layering and pronounced “grip,” Nick Goldschmidt pushes the stylistic boundary of Alexander Valley Cabernet. Deep garnet; aromas of dark plum, black cherry, cassis, nutmeg, vanilla and dark chocolate. 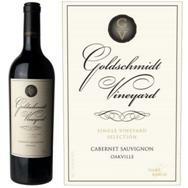 Shows concentrated flavors of black cherry, blackberry, plum, cassis, spice, tobacco, and chocolate. Rich and full-bodied, nice wood framing, sumptuous texture, supple tannin finish. My favorite vineyard from an exceptional vintage. - Nick G.
Many of Napa’s most-respected, highest-scoring, and most-collectible Cabernet Sauvignon wines come from Oakville. The marriage of Cabernet Sauvignon with the soil and climate of Oakville produces wines with tremendous depth and complexity. Some emphasize subtlety over power and others structure over fruit. There's not really one style of Oakville Cabernet Sauvignon, because the terrain varies so much. Rocky, red volcanic soils dominate in the east and receive full afternoon sun, the valley floor tends to have deeper, heavier soils, and on the west side long and broad alluvial fans get shaded by the mountains late in the day. One aspect that all the wines share, however, is an appealing acidity and freshness caused by the fog off the bay. Even the richest, most opulent Oakville wines show this trait. Nick Goldschmidt makes his Oakville Game Ranch in a very approachable, elegant style. Sourced from the eastern-end of Oakville Cross Rd, the soils here transition from volcanic red clay to brown, gravelly loam. They offer exceptionally good drainage which controls vigor, produce smaller berries and ultimately wines with deeper concentration. Soil water-holding capacity is sufficient enough to prevent dehydration thus protecting the critical fruit flavor to alcohol balance. 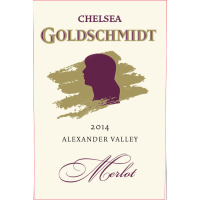 Goldschmidt Game Ranch shows early drinkability, ripe fruit and tannins, and savory minerality. The fee for this tasting which includes dinner is $85 + tax, for reservations call 954-523-9463 or e-mail andy@winewatch.com. Please let us know if you are allergic to scallops when you make your reservation and chef Toni will be glad to accommodate you with an alternative selection. Nick Goldschmidt’s path to becoming a renowned international winemaker was paved by his passion for his craft, his drive to grow the perfect fruit for world-class wines, and his desire to push the boundaries of winemaking. A native of Auckland, New Zealand, Nick initially attended university to study civil engineering, but soon switched to horticulture, receiving a degree with honors in 1982. While at university, he held a research position focused on organics and biodynamics. He also completed his first vintage while working with Dr. David Jackson, author of The Wine Drinker’s Guide to the Vineyard, and Daniel Schuster, one of the pioneers of the New Zealand wine industry. These experiences sparked Nick’s rich and fulfilling career in winemaking and viticulture. In 1984, Nick moved to Australia to study viticulture and by 1985 he’d received one of the coveted scholarships given to only two of the 100 viticulture students. By 1986, he received a post-graduate degree in Enology. During breaks from school, Nick would return to New Zealand to work as assistant winemaker. 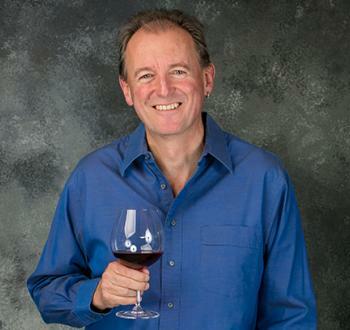 After finishing his post-graduate degree, he moved back to New Zealand and was winemaker from 1987–1989. Each experience further fueled Nick’s passion for grape growing and winemaking. Nick left New Zealand in 1989 to work at wineries in California and Chile, and between harvests worked in wine retail in London. Planned as a youthful winemaking adventure before settling down at home, the 18-month journey started his international winemaking career. After working in California and Chile, and while waiting for harvest to begin in Bordeaux, Nick was offered the assistant winemaker position at Simi, working with winemakers Paul Hobbs and Zelma Long. Without hesitation, he said yes and his long career at Simi began. Within a year, he was promoted to winemaker. Since that time, Nick, his wife Yolyn, and their five children have made their home in Healdsburg, CA. 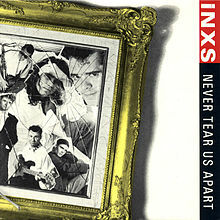 Beginning in 1991, Nick was asked by LVMH (Simi’s parent company) to work with other wineries in their portfolio. This included wineries in Australia, Argentina, Italy, and New Zealand. This gave Nick new experiences that would serve him well in the future. Today many of the winemakers he worked with during those years remain partners in his worldwide travels. In 1999, Simi joined Constellation Brands, and Nick became head winemaker for Constellation’s Icon Estates Group. By 1998, Nick started his own brand, Forefathers, and added Goldschmidt Vineyards the following year, all while working full time and doing consulting on the side. After 14 years with Simi, in 2003 Nick accepted the position of Senior Vice President of Winemaking for all of Allied Domecq’s brands in California, Argentina, Mexico, New Zealand, and Spain. Expanding his footprint in the global wine industry further strengthened Nick’s connections and experiences with international grape growing, winemaking, and wine sales. Nick Focuses on the Goldschmidt Brands By 2008 Nick was ready to focus full time on his own brands. Today, Nick makes wine in seven countries and owns vineyards in three. He consults for 26 wineries around the globe—truly an international winemaker. Nick’s passion and drive continue as he explores new technologies, works to develop products, discovers how biodynamic practices impact grape qualities, and so much more. With his vast knowledge base and extensive academic background, Nick has given back to the enology and viticultural community as well. He is a frequent guest lecturer at UC Davis, Fresno State and Cal Poly, has written multiple articles for the American Journal of Enology and Viticulture, and is a regular speaker at American Society of Viticulture and Enology conferences and at the Unified Wine & Grape Symposium. In 1996, Nick was named Winemaker of the Year, and to date has over 200 wines scoring 90 points or above. Every bottle Nick produces reflects his desire to grow the best grapes and make only the finest wines.